There’s a lot of local flavour to love in British Columbia. One great big wildland is awaiting you to don your pioneering spirit, leave the regular hustle behind, and prepare your favourite tunes playlist. Be ready to hit refresh as you head to one of these five adrenaline-filled towns, where outdoor adventure comes first – followed by a craft selection that packs a flavour-filled punch. Don’t fret if you’re not a beer geek, as brewers await to share tales behind each taste. This is one cool town filled with creatives and overflowing with flowy and loamy trails. Cumberland is a small town with large life and so much dirt to ride. Would-be bike mechanics and enthusiasts are living the dream here, putting their years of research to work while enjoying the big brewing kettles, as well as the fast and flowy trail network. 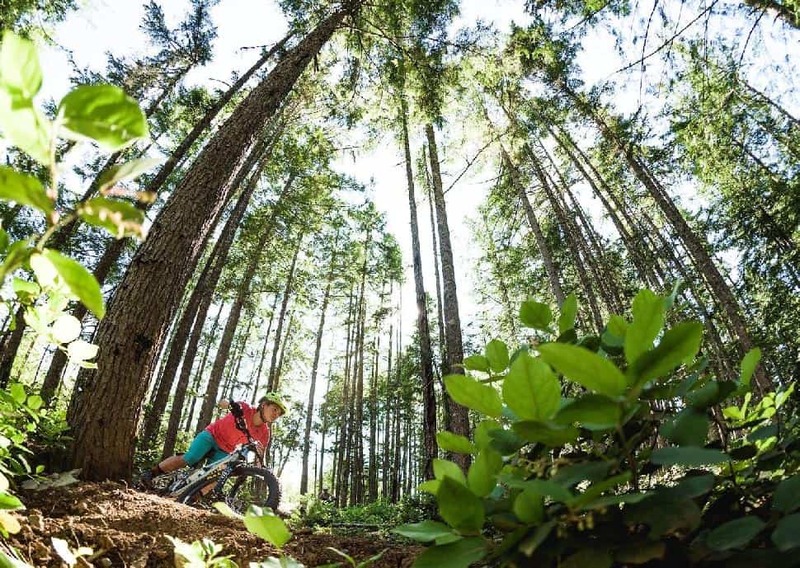 Lush forests surround the hub, and spokes invite you out to explore a full menu of riding goodness including swervy, cruisy, bermy and technical. With over 80 kilometres of pedal crushing, you’re guaranteed to earn a major thirst. Spin on into the Cumberland Brewing Company where locals of all stripes tip back a well-deserved special like Dancing Linebacker Stout. Its huge body and rich velvety mouthful packs that NFL punch for good measure. Find Cumberland on the Vancouver Island Ale Trail. Beer might not be the first thing that pops into your mind in the Okanagan, but mark Penticton on your beer map. Worthy suds happen here and getting to them is best done on two wheels. Get off the paved road for a change – try spinning your wheels on old railroad grades and then coast in for a tasting. 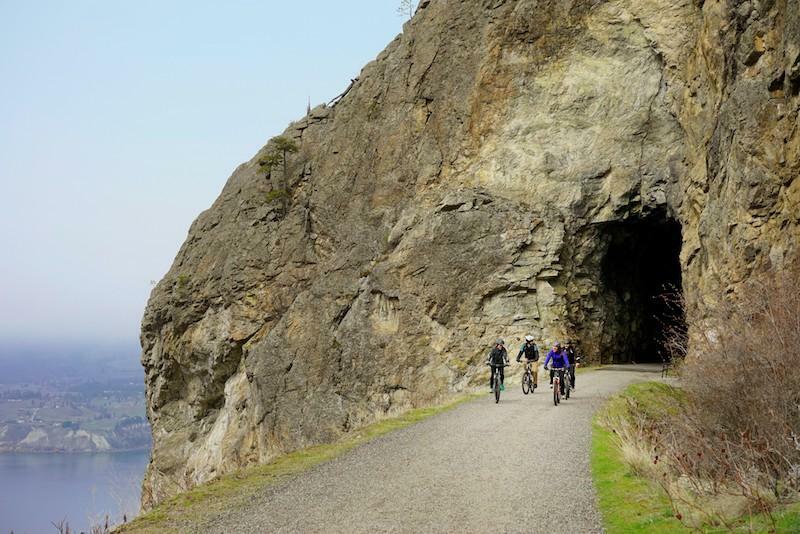 Day tours are offered by Hoodoo Adventures to get you in gear, or go overnight on the famed Kettle Valley Rail Trail. 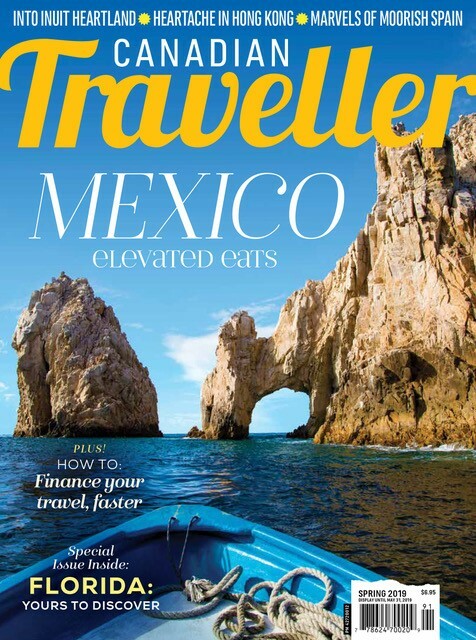 Choose from head-twisting blue water views to tunnels and canyons; the scenery along these hundreds of kilometres of trail will have you amazed. Thirsty from trail dust? Dip into Highway 97 Brewery for a fitting brew called Dirt Road. This one sends your taste buds on an expedition, from a faraway, deep fruity start, finished with a hint of clove and banana. Plan your visit on the Penticton Ale Trail. Two Kootenay crowd pleasers. They’re known for snow but also have mighty water for casting and floating, with worthy beer for tasting. Craft beer, sunny river days and fly fishing – time well spent in these Kootenay towns. On their days off, early-day miners loved slinging for trout and consuming barley pops. This tradition carries on today with a twist in Kimberley: chasing trout is done with flies instead of bait and the beer is so much better crafted by locals. Hit the waters with Kimberley Fly Fishing. With over 80 kilometres of free-flowing goodness, St. Mary River is a real treat. Other options are offered nearby from lakes to secret spots for famed bull trout. These professional guides will show you the finest places to reel, then enjoy an après-catch beer tasting at Over Time Beer Works. Why not try a Right About Now IPA? Its strong malty hook delivers a tasty balancing act between sweet and bitter, ending with a smooth hoppy goodness. Fernie will have you bouncing as you roll down the road, watching mountain bikers descend peaks to the valley and fly fishers slaying wily cutthroat, but you’re here for cool and splashy times. 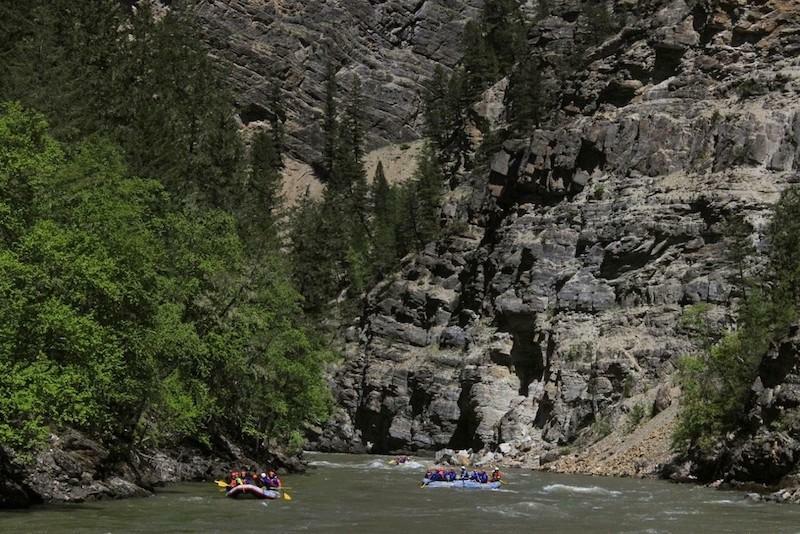 Go for a whitewater adventure with Canyon Raft Company – they’re masters of good times on the river, and you can choose from trips hitting waves on the Elk River or Bull River. Don’t forget to ask your guide about some sweet spots to cliff jump. After taking the leap, drop into Fernie Brewing Company for some award-winning thirst quenchers. Try the Slow Drift Witbier, an unfiltered Belgian white ale with perfect hints of coriander and orange to bring out a silky-smooth fruity profile. Visit Fernie and Kimberley on the Kootenay Rockies East Ale Trail. 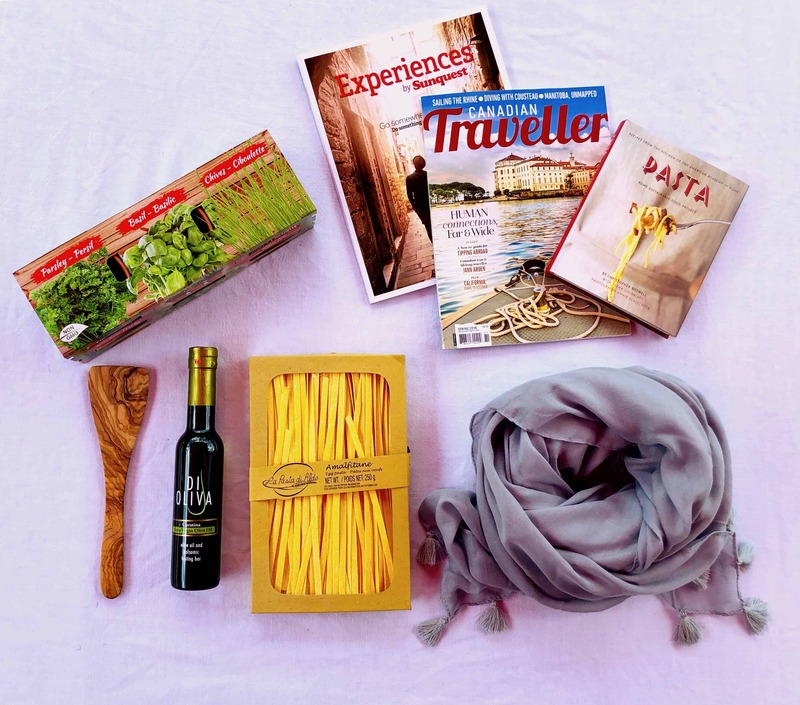 Find big adventure & tasty surprises in Northern B.C. Welcome to Smithers. Looking up at the big mountains, this is a community filled with friendly, adventurous souls. Be prepared though, you may become the newest resident – it’s that good. 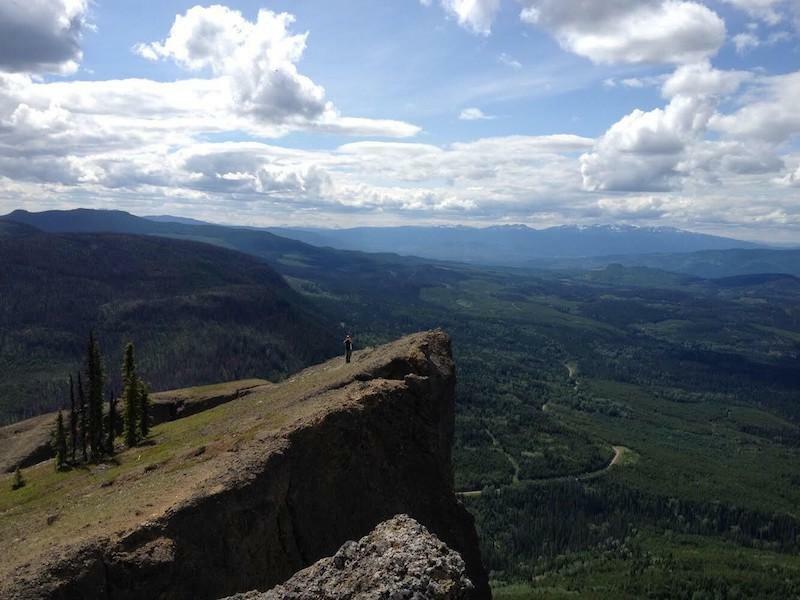 Step out on the many trails surrounding this peak-dotted valley: follow nature’s path to alpine lakes in Babine Mountains Provincial Park or take a long ridge stroll on China Nose Mountain. These are just some of the many wild steps one can take here. Off trail, slide yourself into the tasting room of the new Smithers Brewing Company with its inviting large-slab community social tables accented by massive local timbers. Order up a Hudson Bay ISA and sip while envisioning winter turns out the big bay window of mountains. This New England-style brew is full-bodied but much softer than the normally bitter NW-style hoppy beers. It hits that sweet spot and will leave you researching the quickest way to make Smithers home. Visit Smithers on the Northern BC Ale Trail.